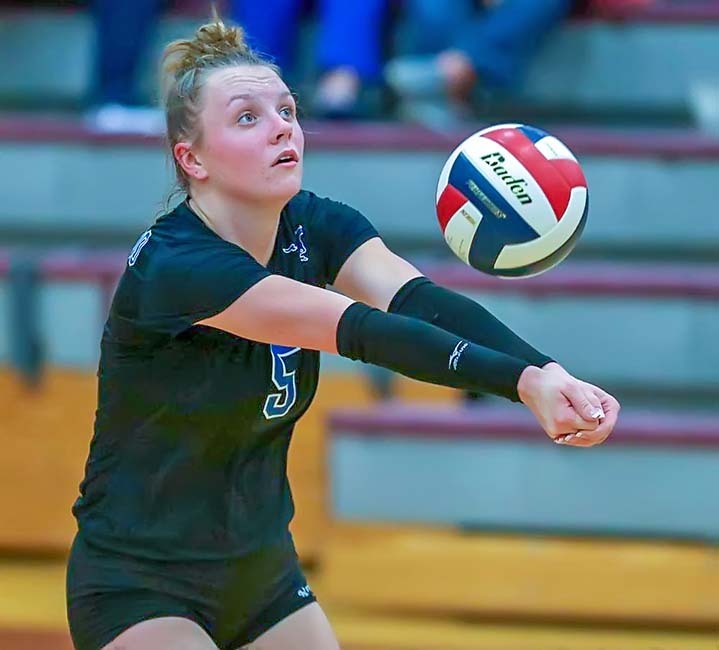 FRIENDSWOOD — Ashlyn Svoboda of Friendswood has been named Most Valuable Player in voting on the All-District 22-5A girls' volleyball team by the league's coaches. Lady Mustang Makensy Manbeck was chosen Offensive Player of the Year while Santa Fe's Freedom Stephenson was selected Defensive Player of the Year. Tori Weatherley of Friendswood was chosen Setter of the Year and Zoe Martinez of Goose Creek Memorial was named Newcomer of the Year. Sarah Paulk of Friendswood, who led the Lady Mustangs to the District championship, was chosen as Coach of the Year. First-team selections included Lauren Hubbard, Elle McGown, Kate Bueche and Nicole Scott of Friendswood; Morgan Lewis and Charde Van Zandt of Crosby; Macee Medina of Texas City; Taylor Kotlarz and Brooke Byer of Goose Creek Memorial; and Teresa Garza, Kassidy Taves and Elena Dondonay of Santa Fe. Second-team choices were Logan Kelly and Victoria Mallard of Galveston Ball; Elizabeth Easley of Goose Creek Memorial; Jenna Johnson, Erica Anderson and Ta'Nya Gibson of Crosby; Haley James and Ashlyn Lewis of Texas City; Jillian Gibbs, Rachael Douglas, Kylie Verm and Cassi Cruz of Santa Fe; and Marisa Flores of Baytown Lee. Honorable mention selections included Hayden Carroll and Haley Hubbard of Friendswood; Gabrielle Lara and Breana Velfling of Baytown Lee; Brooke Oney and Elizabeth Siemek of Crosby; Sara Gabriel and Lexie Laforte of Galveston Ball; Kaitlyn Herrera and Mia Bookman of Goose Creek Memorial; Aniya Eason and Destiny Morales of Galena Park; Rylie Peters and Shelby Freudensprung of Santa Fe; and Jennifer Herrera and Sydney Osteen of Texas City.